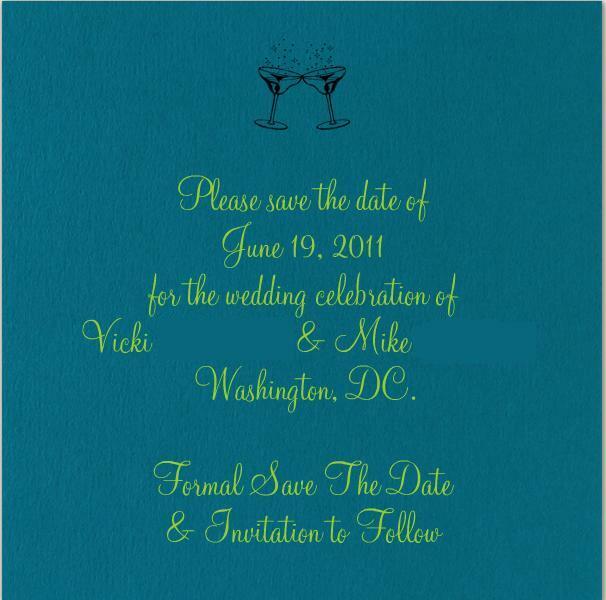 Well yes, we could send out our 'normal' Save the Dates (which are yet to be determined). But we really, really want to tell our closest relatives and friends-across-the-pond of our wedding date. Plus, we are thrilled to have a dated penned on the calendar, and we figure our wedding party should know about it too. 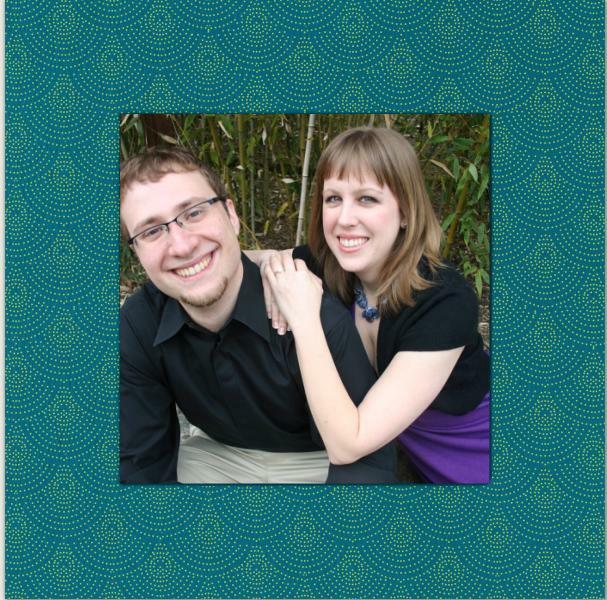 We sent out a PRE-Save the Date to our nuclear family and wedding party, just for fun. Believe it or not, this was the groom's idea! Here are cropped screen shots of what we sent out, via Paperless Post. 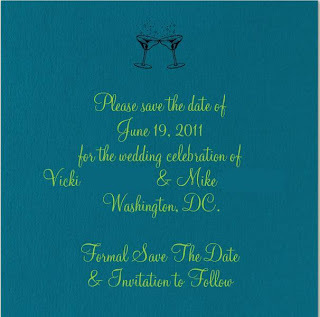 It required purchasing "coins" for the dual sided invitations for a nominal price (the flipping of the Save the Date is animated). It's hard to explain, but it's like Evite with sparkles and pomp-and-circumstance. Very chic and classy! What are you experiences with paper-less invites? Our STD's were paperless too. We used a website called pingg to email them out for free. So easy! I learn something new everyday. Seriously I had no idea how much effort this took. It's both thrilling and terrifying at the same time,... is that a normal feeling? and who took that fancy pants photo? ME ME ME!